Pool2 will be deployed in the same datacenter location. location information data in the environment? B. Execute a SQL backup of the xds database on each Lync front end server in Pool1 and Pool2. C. Execute the export-cslisconfigurationcmdletfrom any Lync server. D. Execute a SQL backup of the rtc database in the Pool1 SQL server instance. site has an average of 5% packet loss. CAC is not configured on the link. makes a voice call to a Lync client in the branch site? ✑ Homed on PoolA which is located in a Lync site named Main. ✑ Voice Policy has been set to automatic. Which set of phone numbers can User1 contact? modifies an existing dial plan object in OCS 2007 R2. Which PowerShell cmdlet is used to import the dial plan changes into Lync? was created in Exchange, named Redmond. answer calls for each other while using their Lync client. How can the Lync Administrator provide only the requested functionality? A. Create a new user Voice Policy that has the Delegation Calling feature enabled and assign the policy to all users requiring this functionality. B. Create a new user Voice Policy that has the Team Calling feature enabled and assign the policy to all users requiring this functionality. C. Create a new response group and add all users as agents in this group. D. Modify the Global Voice Policy to enable the Delegation feature and assign this new policy to all users requiring this functionality. An organization uses Microsoft Lync Server 2010 dial-in conferencing. ✑ Users must use the built-in, dial-in conferencing URL to manage their PEST. ✑ Extensions are 4 digits in the range of 1000-3000.
office given the other requirements. "Which Line URI numbering plan meets these requirements? Contoso has two locations: Office 1 and Office2. Users in Office 1 have the phone numbers: +1 425 555 1000 to +1 425 555 1999. Users in Office2 have the phone numbers: +1416 555 1000 to +1 416 555 1999. PstnGateway: l0.0.0.10 is located in Office 1. PstnGateway: l0.0.0 20 is located in Office2. in Office 1 when losing the WAN. without allowing additional external calls? A. Create Route3: ^\+14255551 to PstnGateway:10.0.0.20. Modify Policy2 and add a PSTN Usage named Usage3. Add Route3 to Usage3. C. Create Route3: ^\+14165551 to PstaGateway:10.0.0.10. Modify Policy2 and add a PSTN Usage named Usage3. AddRoute3toUsage3. D. Modify Route 1 to match the following pattern ^((\+1425)|(\+1206)|(+1416)). B. Change the client policies to start using the edge server of the Redmond location when in Redmond. qualified with Lync Server 2010, but does not support Media Bypass. What is the Microsoft-recommended solution in this situation? A. Deploy a Front End pool of two servers. B. Deploy a Front End pool of three servers. C. Deploy a Front End pool of two servers and an A/V pool of two A/V Conferencing servers. D. Deploy a Front End pool of three servers and an A/V pool of two A/V Conferencing servers. work in branch offices and currently register to the FrontEnd Pool in the primary datacenter. ✑ Support 1200 users with heavy telephony and conferencing usage. ✑ Keep the costs as low as possible. Which option meets these requirements? A. Deploy a Survivable Branch server with a separate PSTN gateway. Configure calls to and from the PSTN to use local PRIs. B. 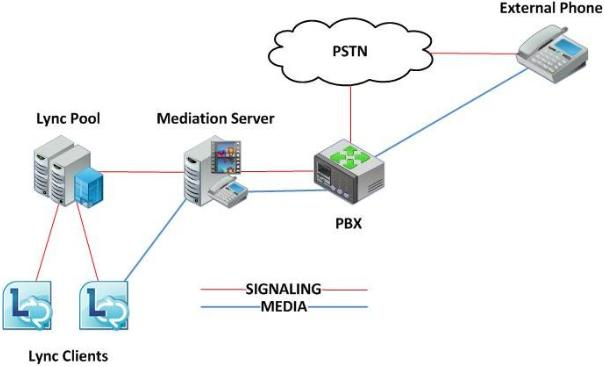 Deploy a Standard Edition Server with a collocated Mediation server and a separate PSTN gateway. Configure calls to and from the PSTN to use local PRIs. C. Deploy a Survivable Branch Appliance with a collocated PSTN gateway. Configure calls to and from the PSTN to use local PRIs. D. Deploy a Survivable Branch server with a collocated Mediation server and a separate PSTN gateway. Configure calls to and from the PSTN to use local PRIs. should maintain existing dialing behaviors. Which Normalization rule allows calls to the legacy PBX in Seattle Retail? Which cmdlet changes the behavior to meet these requirements? places a call to User 1 and is redirected to User l's voicemail. Which SIP signaling path will User 2s call take to User 1s voicemail? A. Client User 2 --> Front end pool --> federation edge--> Hosted Exchange UM edge --> User 1's home UM server. B. Client User 2 --> Hosted Exchange UM edge --> User 1's home UM server. C. Client User 2 --> front end pool --> mediation server --> SIP trunk --> User 1's home UM server. D. Client User 2 --> federation edge --> Hosted Exchange UM edge --> User l's home UM server.